Strong emphasis on the "HOME" in "Homecoming" (as it should be). Premium, high-quality shirt (just like the Maroon shirts during reunion in May). 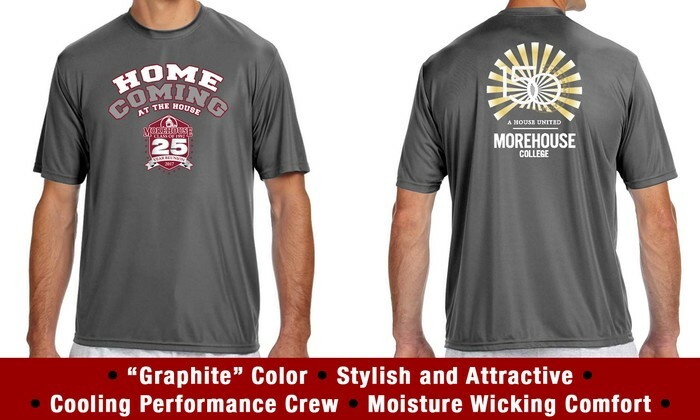 Great for working out, sports, or just looking proud REPRESENTIN' MOREHOUSE. 100% polyester that will help keep you cool and dry by keeping moisture away from the body. 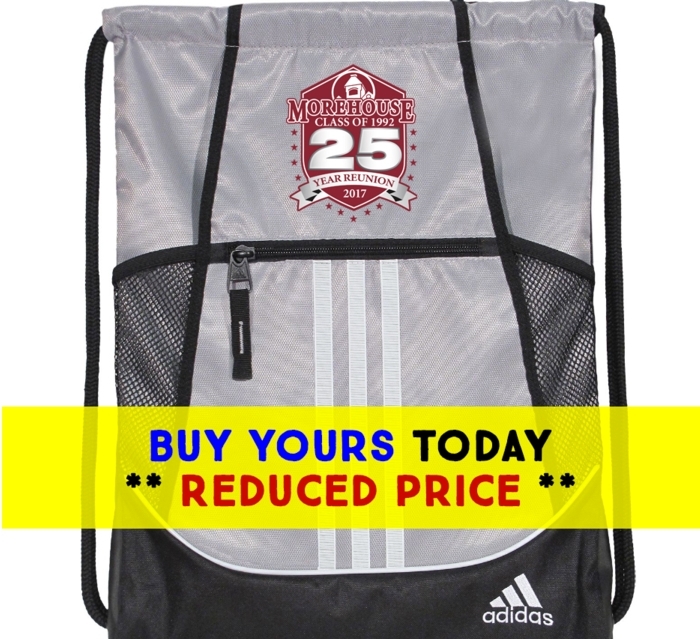 Fabric is stain resistant, odor resistant, and snag resistant. Our 25 Year reunion was a tremendous succes. 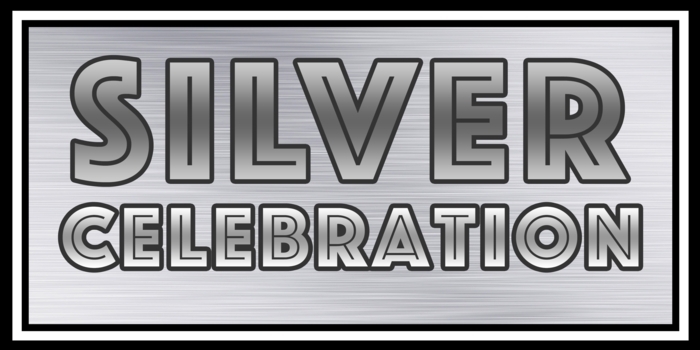 This was our SILVER CELEBRATION and we truly made it special. If you missed it, please know that WE MISSED YOU (real talk). 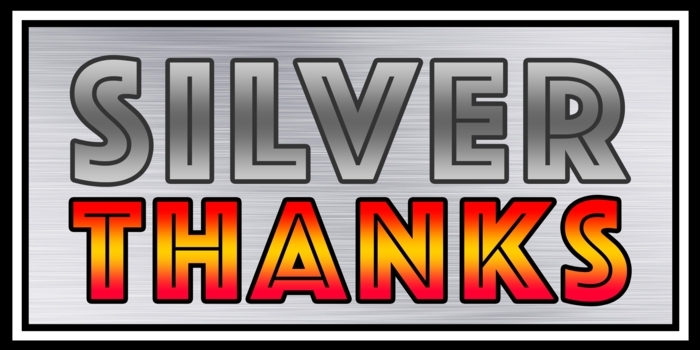 Thanks to the TEAM that helped make our #SilverCelebration possible. Thanks to the #Spelman1992committee for all their great leadership, collaboration, and SUPER VALUABLE support. Thanks to all of YOU that attended, supported, enjoyed, and spread the word. We all enjoyed some old memories...and CREATED a few NEW MEMORIES. As you have heard before... this was not just a "Class Reunion"---it was a true "FAMILY REUNION." We hope each of you had a BLAST. We will have a few hundred photos posted on the FB Group. Please post and share yours as well. Also, please make a GIFT to Morehouse and RE-INVEST in her future. We will RECONNECT, REFLECT, and RE-INVEST !!! Yes, we will be planning joint events with our beloved ‪#‎SpelmanALUMNAE‬ as we have every reunion. This time, we would like to have a YEAR-LONG celebration leading up to May of 2017. We will have events, gatherings, meet-and-greets, and more all year long----yes, Summer, Fall, Winter, and Spring...up to May 2017. We will also make some special pans for ‪#‎HOMECOMING2016‬ to celebrate. Planning conference calls will start soon. We wil send out the dial-in numbers to all that want to join. 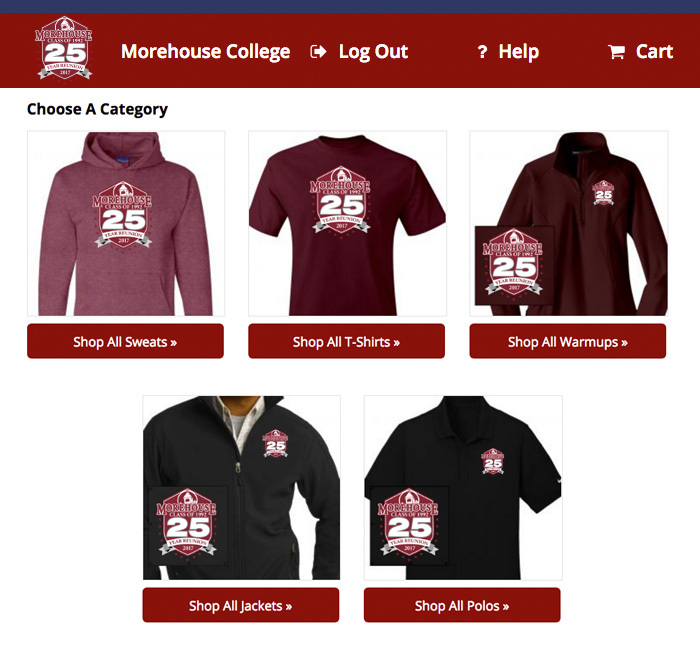 We should also start thinking about making "significant" and "substancial" FINANCIAL GIFTS to Morehouse College. Let's build a team/committee focused on that. ✅ Please remember that this is "YOUR" reunion...embrace some pride and ownership. Thanks for be involved and engaged. We welcome your energy, your input, your ideas, and your involvement. Please share this with ANY-AND-EVERY brother from our class. Nobody should tell us later: "I had no idea about our reunion----man, I wish somebody told me---I hate that I missed it." (don't let that tragedy happen---haha). As always, joining and using this site is FREE OF CHARGE. Please make sure your profile is updated and you are NOT on the "missing" list. Looking back to the year was 1992... President Bill Clinton was elected (defeated Bush and Perot), Los Angeles saw the Rodney King riots, we had riots in Atlanta as well, the first Nicotine patch was introduced to help stop smoking, Arthur Ash announces he contracted AIDS, DNA fingerprinting was invented, the Balkan War was raging, Euro Disney opened in France, Larry Bird retired from the NBA, Washington Redskins won the Super Bowl, Toronto Bluejays won the World Series, Chicago Bulls won NBA Finals, Duke won the Final Four, The Summer Olympics were in Barcelona, and Mall of America was constructed in Minnesota spanning 78 acres. AND the class of 1992 walked across the stage at the Morehouse College Commencement on their way to make a difference in the world as newly minted MOREHOUSE MEN. It is remarkable that this was TWENTY-FIVE YEARS ago!!! 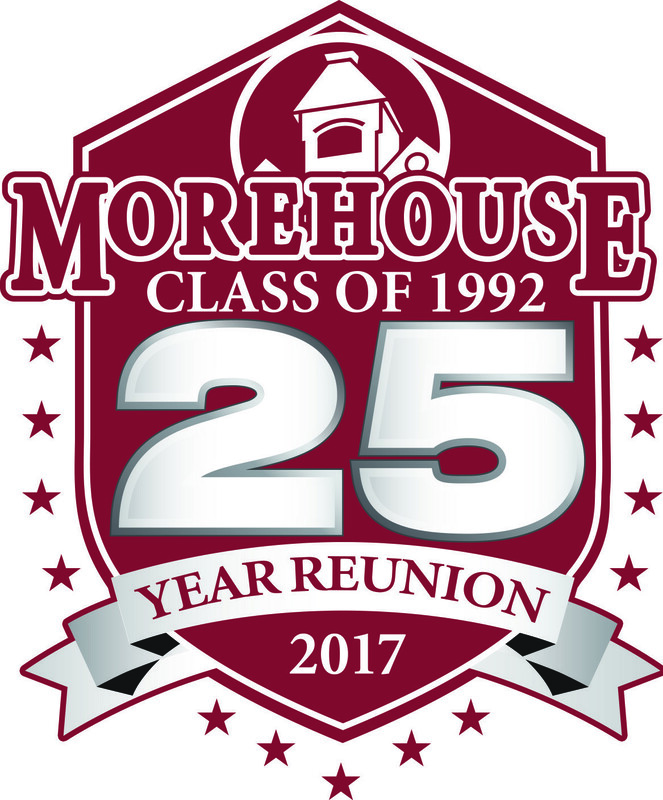 Please make plans to join us in May for our reunion (with our Spelman Alumnae classmates). 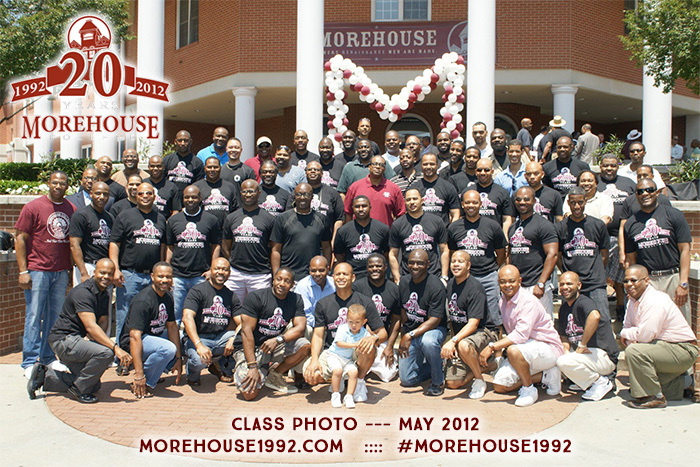 Let's reconnect as brothers (JOIN HERE) and show our thanks to Dear Ol' Morehouse via our support.